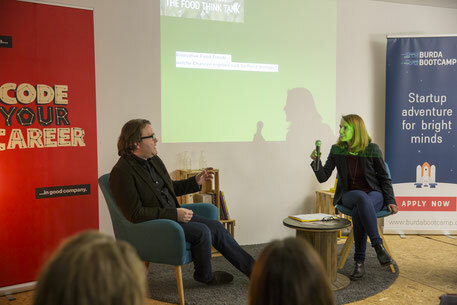 A great night in Munich, Germany, at the Burda Boot Camp, where StartinFood and our founder Jens Köster talked about the future of our nutrition with innovative food startups . Thank you everybody for joining this amazing event! There will be more food startup events from us this year about food trends and innovative food products in Europe, the US and Israel. Follow the latest news in our Blog!